We ran across the promotion while scrolling, mindlessly mind you, through our image feed. Our brains were so excited that we weren’t sure if the promo was real, so we immediately tapped on the ad. Unfortunately for you, our quick pizza-trigger fingers didn’t give us the chance to screen cap the ad before we were cookie’d and it disappeared. When we did click through the ad, it sent me to their targeted promotion landing page for the free pizza. It was clear that they were targeting the New York City area, as the free pizza promo was only good at their one and only NoMad location in Manhattan (north of Madison Square Park). The page resembles other LevelUp refer-a-friend pages, just some text about the promotion, and one field asking for your email. And because I got there via Instagram, I wasn’t to identify the landing page’s URL. In order to redeem your free pizza, you had to download the &pizza app, signing up with the email you used for the promotion, and you would have a credit awaiting your first visit to &pizza (or your first time using the app). That’s good for a $10-11 dollars savings. After all that traveling around the internet, sit back relax and start scrolling through your instagram to see if the ad pops up. Obviously, doing all of the above won’t guarantee that you’ll run across it — just some best practices. 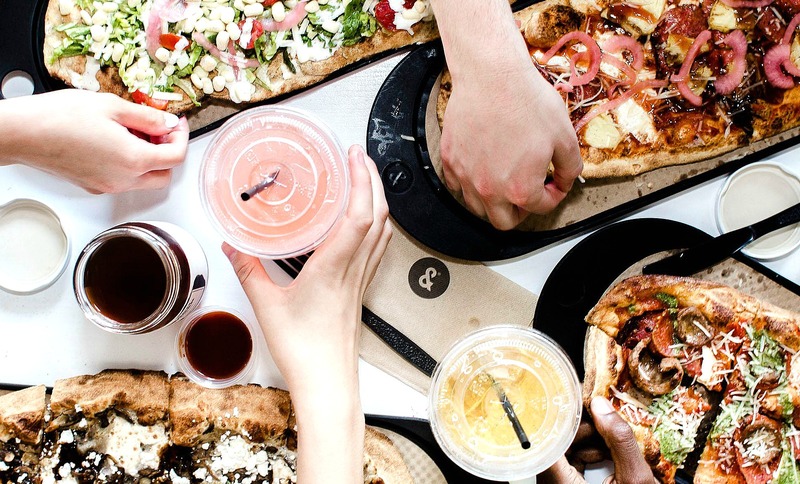 If you’ve scrolled around and still haven’t come across it, you could always call it a day and use our referral code to save $5 off your &pizza – not 100% off, but 50% off ain’t bad. I’m certain they’ll be running another free pizza promo when their Astor Place location opens up, if you can wait. 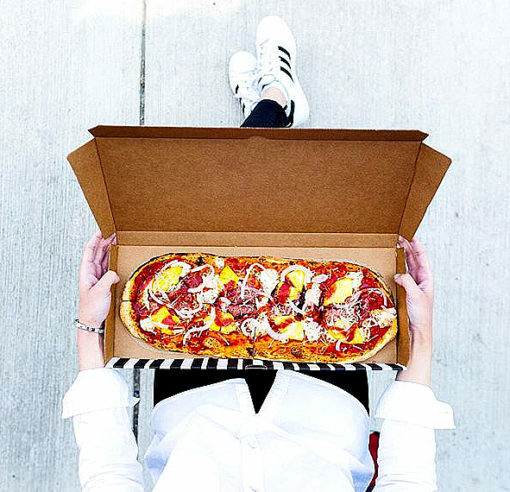 The up-and-coming chain is famous for its personalized, oblong-shaped pies, and aren’t new to giving away free pizza as a marketing tactic. However, this time around you don’t have to get tattooed for your complimentary pizza.